No one can deny the impact that social media has had in our society in the past 10 years, that impact has also been felt greatly in the fishkeeping and aquascaping hobbys. More than ever we have the means to share our passion for fish and nice planted aquariums to a wider audience. 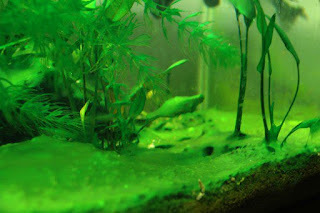 The same can be said for youtube, while a lot of the knowledge hobbyist get on how to keep and maintain a successful aquarium still comes from forums, we have also seen the rise of dedicated fishkeeping and aquascaping channels. I for one run a small channel, but in the grand scheme of things even on youtube, its still a niche thing, so one should not expect to find a hobby channel raking in millions of subscribers and getting rich out of it, the following just isn't there. However that does not mean that the fiskeeping and aquascaping communities have not created their own youtube stars, they may not be known beyond the boundaries of the hobby, but to us there are a select few that have reached a significant amount of followers. 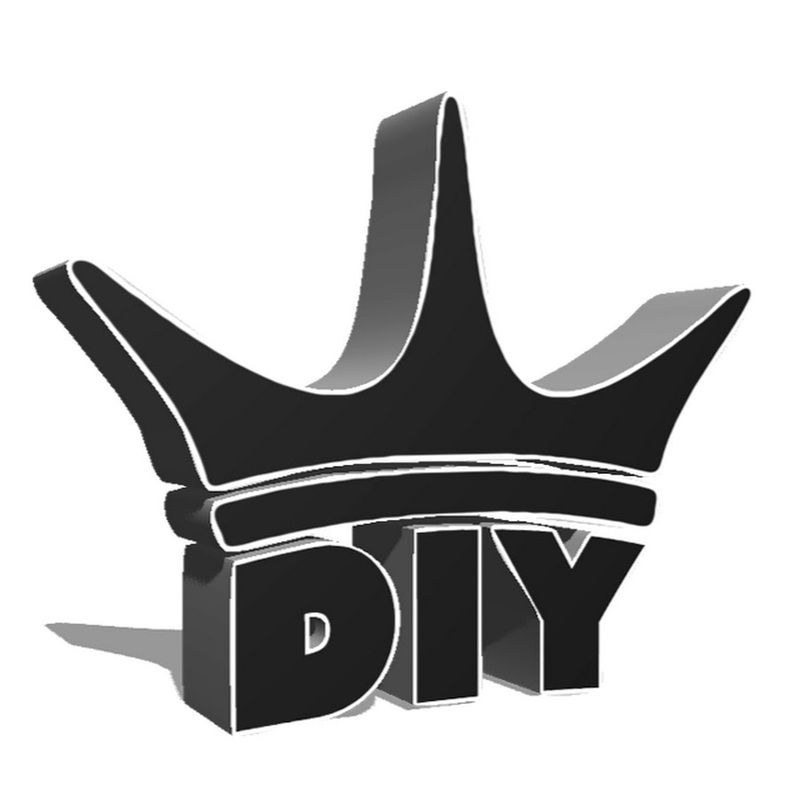 But when it comes to discussing which one is the biggest, than we can look no further than the KING OF DIY's channel. Joey Mullen is a hobbyist from Canada, now I started watching his channel way before he was famous, something like 2012 and its been amazing to see how much his channel has grown. Joey's videos about how to Do It Yourself fishkeeping have gained a large following, on weekly basis he uploads videos on how to build all types of aquariums, filters and other fishkeeping equipment. However like he says himself, his DIY videos are not on how to build it cheap, if you are looking for that, then that's definitely not what you'll find here. The videos are about building things that suit your needs and allow a large degree of customization. The tutorials are very well detailed, and Joey explains them In a really friendly way. I am not a DIY person myself, i am an aquascaper first and foremost, so my focus is in creating beautiful aquascapes and making them is as far as my DIY skills go. But if i wanted, following Joey's videos i could easily build cabinets, acrylic, plywood and glass aquariums, filters, sumps, heaters, automatic water changers, the list goes on and on. He also has a passion for large fish, most notably Arowana's and stingrays. And for many years part of his projects were around providing these with the best home he could give them. Despite having moved on to larger and more impressive DIY projects, namely building an aquarium gallery, to me, my favourite project is still the 540 gallon aquarium build. Mostly because i would love to have a tank like that in my house to aquascape. Over the years the channel amassed a huge following based on these projects, but more recently he took it to the next level, as he explains himself there's only so many DIY's you can do and after so many years he needed something new, a challenge. And with Joey when he thinks challenge, he never thinks small. 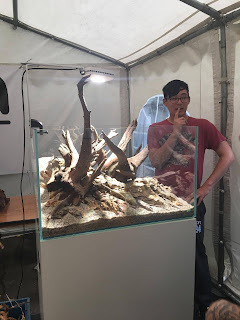 Enter the aquarium Gallery, for the past year or so, he set himself on building an fully dedicated gallery, as the channel was starting to pay good money he thought about putting it back into the channel and the hobby. The goal was to use this to put out more DIY videos regarding building it, but at the same use the gallery to educate hobbyists on how to keep fish from a large range of areas around the world. This project met some large setbacks though, most notably the youtube advertising scandal last year, for those who don't know this was when some major brands found that their adds where being shown on videos that showed content not deemed consumer friendly, some of the profits from these videos went as far as being connected to terrorist organizations. This meant that overnight a lot of large brands removed their adds and their money from youtube. If you're a small monetized channel like me this is not a major issue, means you probably are not working full time on your channel, and the money you get is more likely invested small projects to make new videos. 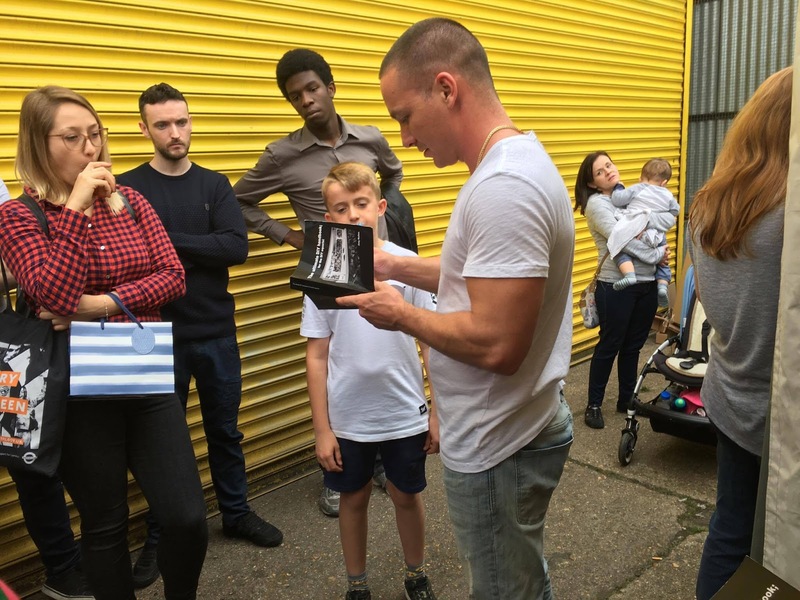 However building a gallery is not something small, and has he himself explained the money that was funding it suddenly stopped and this meant not only the project was at stake, the KING OF DIY channel was at risk of closing down. That's when he took it to his audience for help, the project and the channel were at risk and they had the power to save it. He setup a crowdfunding account and in just a few days it had amassed 98000 Canadian dollars. More than enough to save the project and the channel, since then he as worked hard to finish the gallery and the channel has gone from strength to strength, it has amassed 400 thousand subscribers in the last 18 months, four times more than in the previous six or seven years. It has become the first hobby related channel to reach top of the youtube trend list and has become the only one to break its boundaries , people that have no connection to fishkeeping or aquascaping are now watching the KING OF DIY. But he is now a lot more than just DIY, the gallery holds a 2000 gallon lightly planted aquarium for stingrays, a 375 gallon planted aquarium, he's even starting to delve into aquascaping and last but not the least a system of aquarium racks with 120 gallon aquariums where he is displaying setups with fish from different parts of the world. Lets face it Joey's has amassed the kind of following and success that most can't even dream off. But he is very humble about that success, the hard work that it takes and mostly, that he owes it to his audience. So he's now coming out to meet his fans all over the world as way of thanking them for all their support. Enter George Farmer, has the UK's most prominent aquascaper and someone that has himself amassed a considerable following all over the world, you kind of know that if any event worthy of notice happens in the UK he's most likely to be involved in some shape or form. George has his own youtube channel, where he displays his aquacapes and educates people on how to set them up and keep them. However he's only recently came in to the platform, so his following is 12000 subscribers, not really close to Joey's half a million. But throughout his work both writing for pratical fishkeeping magazine, as the founder of UKAPS (the uk aquascaping plant society) forum and as a world renowned aquascaper, he still has a very large following, just maybe not so much youtube related as Joey's. 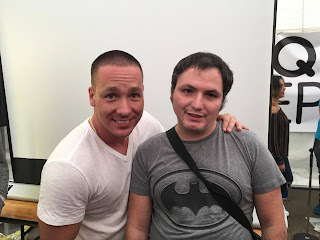 So one day when checking his channel viewing analytics, Joey noticed that a considerable amount of his following was from the UK, he regularly attends events both in Canada and in the US, but lately he's wanting to go out and meet his fans elsewhere in the world and the UK made a good candidate for the first of these events. George and Joey's have been friends for quite sometime, so it was easy for Joey to reach out to him and setup and event with the two of them. They came up with the idea for a scape off, basically it would be a contest between them, where both of them would scape a tank for the audience, they would also do some Q&As during the event to answer any questions from the audience. Now anyone that follows Joey's and George knows that George is professional aquascaper, while Joey is only now starting to delve into it and may be classified as a beginner in this side of the hobby. So the contest was setup more as something fun to do, than an actual real competition, to even the odds some challenges were put in place, stuff like scape with one hand for 5 minutes, or have someone from the audience scaping your tank for you, these would provide some fun and even out the odds, still Joey was at a disadvantage, but he took it up for himself to make this event the best it could be, for him and his fans. Joey announced he would be coming to the UK on the 14th of October roughly about a month before and then both him and George published teaser videos where both of them said they would wipe the floor with the other one, but always in a very respectful, friendly and funny way, so it was obvious it was all part of the show. The event was setup up at AQUA DEPOT in London, this is a new shop that just opened a month ago on September 9th, they had a large opening event in witch George, Adam Paczela from Poland, Filipe Oliveira from Portugal and Romy Verlaan from the Netherlands setup the shop's aquascaping display tanks. This event was also attended Michael Aarons from Aarons aquariums. 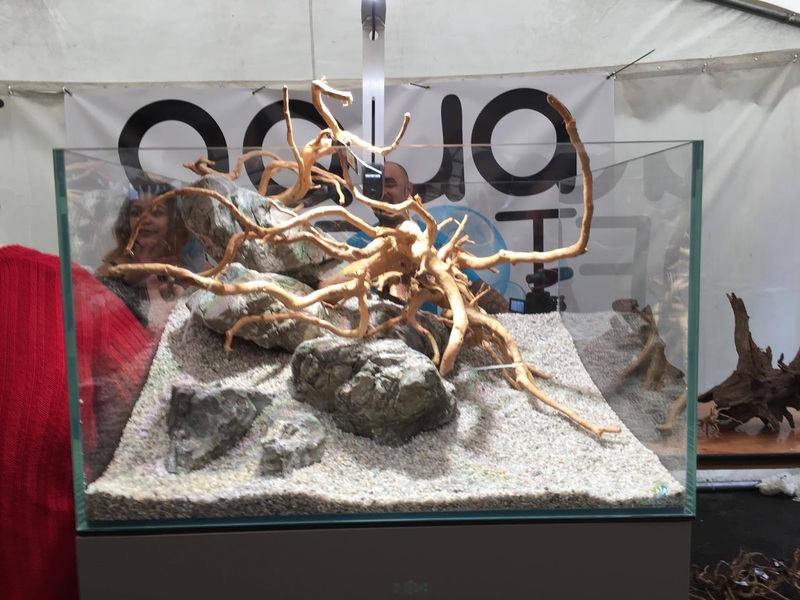 I was invited by the owner, Ryan Jones to go to this event, he had read a blog article i wrote on one of George's aquascaping events in July and asked me if i was interested in going the showroom opening. I was very interested, but unfortunately i was in Portugal for some family holidays on the day of the event so i had to decline, but promised to visit the shop as soon as i got back. 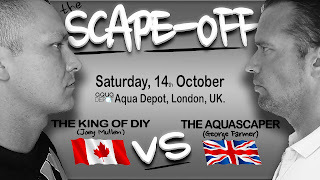 When it was announced the scape off would take place at AQUA DEPOT the chance presented itself. I live around half an hour from aqua depot so for me to get there was easy, I was expecting a significant amount of people to attend the event so I planned to go early, Ryan told he would be in at 8 a.m so I thought if I got there before anyone else I would be able to have a nice talk with him about the event and the shop. Not surprisingly others thought of the same and by the time I arrived there were already a few people on site. This wasn't an issue and provided me the chance to meet my fellow hobbyists. The shop is located in north London in an industrial complex, its an area that is full of warehouses or other industrial facilities, the AQUADEPOT is located in one of this warehouse facilities, to be more precise the ground floor is a car repair Garage and as they didn't need the second floor and Ryan knew the owner, they rented it out to him to setup the shop, to access it you need to take a side entrance near the back, there is a set of stairs leading straight into the shop, the first thing that popped up was the large outdoor tent that was setup outside, the second was the small aquascaper cube you can see on the stairs leading up to the shop, Ryan later told me George would be aquascaping that one soon and it would stay in the in the stairs has a welcoming display. When you finally go up, the shop is unlike any of the shops I have covered in my previous articles, the industrial look of the place wasn't removed, instead it was embraced, the light in the shop comes mostly from the large display tanks, and there's a dark underground feel. Instead of a counter, you find a desk and near the wall some Ikea furniture with neatly arranged aquarium equipment just waiting to be purchased. This shop as just opened recently and a lot of work is still being done before you can really see the finished product, for now it looks promising. They are a Freshwater, salted water, pond and aquascaping retailer, or at least that is the plan when everything is finally set. So you'll notice straight away the two large salted water display's right in the middle of the room, I know that Green Machine always said in their videos they had the largest aquarium displays in the UK, I am not sure if they can still hold that title. Tanks, and equipment look top notch, and to the left of the salted tanks you'll find a large holding tank for plants, this was full of plants and three Aquamedic light units were being used to light it, this was not enough. But these had just arrived recently and Ryan explained me he was waiting for more units as the supplier had failed to deliver the exact number he requested them. In the far wall there are a good number of aquarium racking systems, and you can also see holding tanks, these only have water at the moment, but i believe they may be set to hold corals in the future, I did not ask. You can also see the filtration system for these which is quite impressive, something that would be worthy of being shown on the King of DIY's filtration videos. Now I am not a saltwater person so to me what counts is the aquascapes, and those I found in the back, an area setup with two sofas, for those willing to sit and relax, and three aquascaping displays, a very large iwagumi layout with Frodo stone setup by George Farmer and Adam Paczela, and two aquascaper 600's nature aquariums setup by Filipe Oliveira and Romy Verlaan. The scapes are impressive, specially the large iwagumi and the equipment is flawless, I think the light unit on the large ones was a LupyLed, though I can't confirm, but the filtration of the iwagumi caught my eye, it was a large chihiros stainless jet filter, they are almost identical copies of the ADA jet units though they are significantly cheaper. It's not hard to see that aquascaping is not the main attraction of the shop, the saltwater displays are, but that is due to change once it's finished, Ryan as big plans, one of the back rooms he showed me, currently used for storage is to be converted into an aquascaping showroom. Anyway its good to see another shop in London, as for such a large city the amount of quality shops, specially ones that dedicate themselves to aquascaping is still in short supply. However the shop was not the purpose of my visit today, it was the scape off between Joey and George. 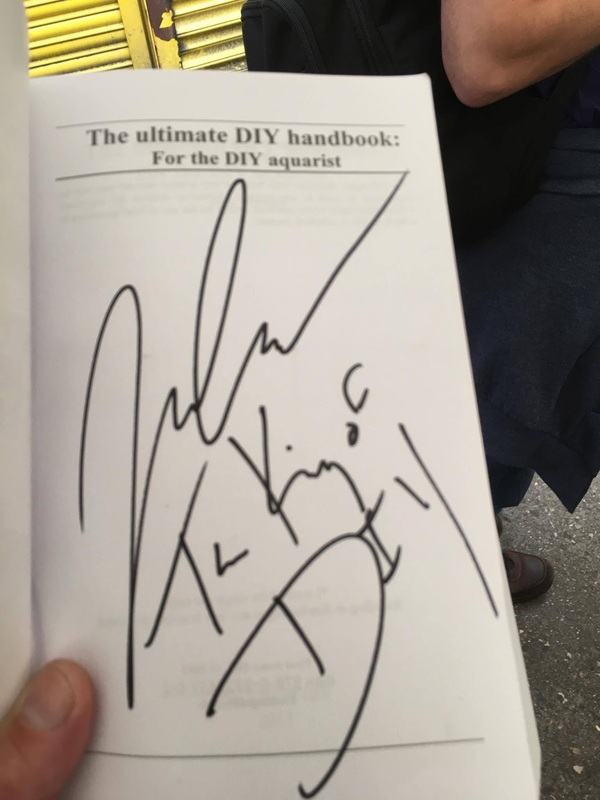 They were selling copies of the KING OF DIY handbook, I have the digital version of this, but I always wanted the paper and since only a few copies were delivered to the shop I bought mine before anyone else came in to take it from me. After that people started arriving and the tent outside started to fill in. I went to grab a seat, and while we were waiting for the scape off contenders to arrive I had really nice chats with other hobbyists. And while I did this more people kept coming in, pretty soon the place was full to the door. I can't say how many to be precise but estimates we had 300 plus in attendance, it may not sound much, but average attendance of aquascaping events around here is 15 to 20 people, and that is already pushing it a bit. Exceptions to this was the UKAPS aquascaping experience last year that if I am not mistaken brought in an attendance of around 100 plus, and the Hampshire aquascaping and fish group event organized by Jame's sheen that had around 75 people..
That's when I realized how big Joey and his DIY channel really is, the people in attendance were mostly fishkeepers, the aquascaping crowd, and though they were the ones organizing it, were in a clear minority. But that didn't made any difference as everyone was there to have a good time. The tent proved to be small so people were sitting around everywhere including the floor, and for the ones standing in the back it must have been rather hard to keep up with what was happening at the front. At the front there was an elevated platform with two aquascaper 600 aquariums, these were the ones to be scaped, also there was a projector and a screen from which Joey was to do a presentation for his fans, to reward them for their support, the plan was to make them the first ones to see the building process of the 2000 gallon aquarium from the gallery. This however proved impossible to do, as there was too much light and the images were just not visible on the screen. George and Joey arrived, the crowd really went wild, first thing that was noticeable was George had a bruised eye, later we found out it was an accident doing some repairs in his kitchen, however always willing to have a laugh, Joey said it was because they were practicing the scape off the day before and he went a bit too hard on George, obviously that drew in some laughs from the crowd. After that George and the staff started preparing the materials for the event, and Joey went out to meet his fans. 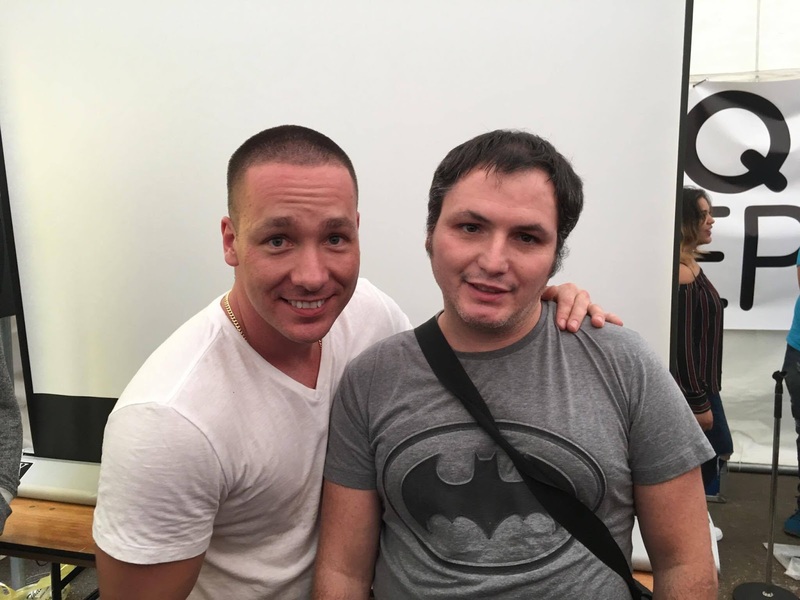 I noticed straight away that he is as simple and down to earth in reality as he is in his videos, he made sure he went to the middle of them, talked to as many of them as he could, it looked like he had known them all his life, he was requested to take photos by more people than he may actually remember, I couldn't believe the relationship that he has build with his subscribers and fan base over the years. In the aquarium world Joey can almost be compared to a Hollywood star. Throughout all this time he kept making jokes and having fun and this went on for quite some time, he was as happy to be here with them, as they were to have him. After that the event finally started, Joey was the first to talk and to start he apologized for not being able to do the presentation he had prepared, but the projector was not working well as the tent had too much light in it, instead he did a Q&A, he started by talking about his story, how he's channel was set, the DIY videos and eventually its evolution into the Aquarium Gallery, he also talked about the issues he had and thanked all his fans for the help he received from them to keep the project running. A lot of questions were put to him during the Q&A and I cannot possibly remember all of them or transcribe them here, but two of them were asked the most, one was if and when were there gonna be more DIY videos, he said for the moment there are no plans for DIY projects, in the future maybe, he tried to connect to his audience and explain why he was not doing them as much now, he said it had become quite hard to come up with new DIY projects to do without keep repeating himself and that at the same time he started feeling bored of doing just the same, hence he felt he needed a challenge and come up with something new, which was the gallery. As the question keep being repeated over and over, it was clear to me that there is a bit of a clash, between the original fanbase, that joined the channel for the DIY's and the new larger one that joined more recently because of the gallery. It did not surprise me though as this has been seen often amongst youtube stars from other backgrounds other than fishkeeping, as the channels mature and grow, they need to diversify to bring in a more audience and also because sometimes the youtuber matures and wants to try something different. This tends to lead to a split in the audiences, leading the originals feeling left behind. In Joey's case he was very eloquent in explaining why there was no DIY videos at the moment and I believe the audience understood, I subscribed because of the DIY and I know I did understand him. Another question or name that kept popping up was Frank the flowerhorn, for those that don't know Frank is a fish, a flowerhorn to be more exact, that joey picked up recently, now he keeps really expensive and exoctic fish, like Arowana's and stingrays, Frank was just an impulse buy he had for a cheap fish. The thing is the audience grew attached to him and he is now kind of like the unofficial mascot of the channel, Joey endured all the questions about Frank with smile, and saying " I can't believe he became the fish people like the most in my channel". After Joey's Q&A it was time for George to do his own, he introduced himself to the audience, most of them coming from a fishkeeping background were not really aware of what he does and of aquascaping, and he took some questions, most of them on how to grow plants, or a specific plant. Finally the Scape off started, they explained the rules, it was supposed to be a half an hour contest where they had to create a scape using the materials available and during that time different challenges would be put to them. They tossed a coin to decide who would have a go at choosing hardscape first, it was Joey, however he seemed overwhelmed by the amount of offer so he ended up telling George just to start choosing too because he had no idea from where to start. And then the scaping started, and there was two approaches to this, George as a professional aquascaper that as assembled countless tanks for an audience was very professional about it, he was even explaining to the audience what he was doing, I have attended quite a few of his events and know that his George being himself, he always wants to educate the audience into the details of aquascaping. Joey on the other hand looked like when you are watching a movie and all the characters are trying to be all serious about it, but there's always one that can't stop making jokes and goofing around. Now that was Joey, he gave the audience a show. At some point George was explaining what he was doing, and you just see Joey turning to him "Who cares", and he said this in the most funny way the audience couldn't avoid laughing. Anyway back to scaping, both of them set up their gravel, George's was slopped front to back, Joeys was front to back but slopping dramatically to the left side. George went with some large pieces of wood, which he carefully arranged to form an intricate and natural formation, while Joey went with rocks, looking like he was gonna go for some iwagumi style design, all this time he was playing around making jokes, and acting like he had no idea what he was doing and how he had gotten himself involved in this mess. The first challenge came, scape the tank using only one hand for five minutes. While this seemed difficult it didn't really slowed them down and they kept working, George was making headway, adding dragonstone rocks, positioning them holding the wood, always the professional he was assembling the tank like if he was really gonna plant and fill it up with water. Joey on the other hand, was still playing around with the same rocks, trying to position them in a way to stop the sand from collapsing. The second challenge came, pick a member of the audience to scape the tank for you. Both choose two young boys to do it for them, and as they could gave instructions on how they wanted their little helpers to do it. George's scape was already looking like a finished product is assistant was just adding small rocks for extra detail. While Joey still had is assistant playing around with the same original rocks he started with, it clearly didn't look great for joey, but has always he was making the most of it and having a lot of fun. After the assistants were dismissed the third challenge came, this one was scaping with one leg, it didn't seem to hinder them as much, but it was kind of fun watching them stand around with one leg trying to scape these tanks. Another challenge came, and this was the funny one, switch scapes for three minutes. Basically Joey was now gonna scape George's layout, while George would do his one. This was the most funny challenge of them all, as a professional he is, George went about fixing, Joey's broken design and building something that really looked like the real deal, Joey however was unleashing a destruction derby in George's nice scape. Putting on a show for the audience he started by saying " I don't like this" , while proceeding to tear down pieces of George's work, while at the same time picking up large pieces of wood, that just wouldn't fit in, and trying to put them there anyway, the audience had more than a few laughs with this stage and George could only look astounded while Joey wrecked his work. Soon they reversed back to scaping their own layouts and while George went about salvaging his scape from the destructive effects of hurricane Joey, which in turn was now unleashing itself inside his own tank. Not happy with George's changes to his design, which was looking rather nice if I may say, Joey just started tearing it down and rebuilding it in his own image. Finally the last challenge came which was scape with your back into the tank, this was really hard and both barely did any changes to the scapes as it was really difficult to change anything with your back to it, George still managed to add some small pieces. And as the time was finishing George had a full scape, Joey was playing around is own comedy trying to fit wood In places where it either didn't look natural or it just didn't fit, he kept the goofy act until the end, but now it was time to have a finished layout as both tanks would be raffled off, so the final moments had both George and Joey scrambling to try and end up with something that looked a decent layout, when the time went up it was time to chose the winner. In a real contest there was only gonna be a winner, that's something everyone knew, but this was not a real contest, the voting would be made by the audience and the way would be to see which scape would be cheered the most. 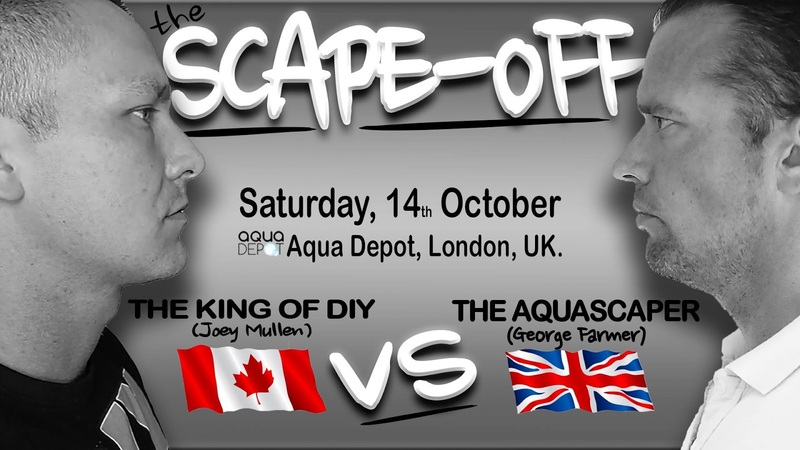 When the time came, George's scape made a significant amount of noise in the tent, for a moment there I actually thought he had a chance, but the thunderous noise made by the KING OF DIY fan base was unbeatable, in the end Joey's scape won the day. He did came out and in a fair play type of way admit to his fans that George's scape was by far the better one, he knows he's not an aquascaper and was not really pretending to be one, but the event provided a unique opportunity to spend some time with is followers in the UK, he promised to return and that he was also planning a visit to Germany with Oliver knot. After this it was time for people to get to meet and talk to both of them, I was surprised as I was expecting most of the people in the event to run to Joey, but in the end George's aquascaping had spoken for him, they liked his work and where now interested in finding out more about how to keep one. Even me I had a couple of fish keepers asking me how something like that could be kept after filled with water, and I was only part of the audience. 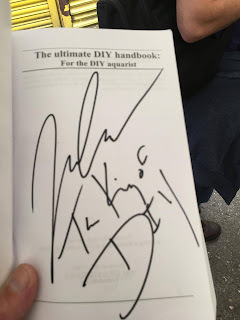 Having already met George countless times, and expecting to attend more events with him in the future, for me today was about meeting Joey personally, so I managed to get a photo with him, a signed autograph in my KING OF DIY handbook copy and when I told him I had been subscrided to his channel since 2012, he said in a funny way " You watched me become a man". 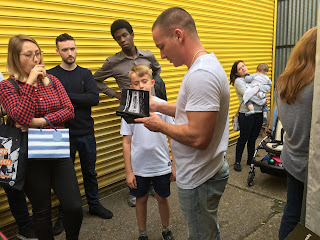 Joey's coming to the UK was a success as everyone was expecting, there were a few things he himself admitted could have been done better, and they hope to deliver it next time. But he was thrilled to have seen so many people, some of them even coming from other countries in Europe just to meet him. I found what I was expecting, a person that is in reality exactly the same thing he is been in all his videos, approachable, friendly and funny. You just can't get the kind of following he has by being anything different. As for George, he was himself as always, also always approachable, friendly, even funny, but very professional with his aquascaping even when he knows that he is just doing it for fun. 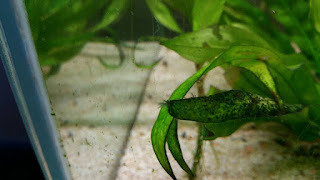 He is probably the most helpful aquascaper that I know. And that does not mean that there aren't more, just that when he is doing his events he just can't stop going out of his way to teach aquascaping to the wider audience even when they were not there to learn it in the first place. 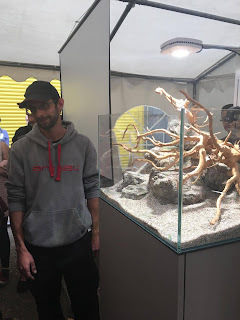 I said to some fellow aquascapers in the event that Joey did more to grow the aquascaping hobby in the UK in one day, then we have been able to do in a year. Some if not all disagreed, but I believe they misunderstood me. I know of all the work that is done here, George, Matt Amin from Amin's aquatics, Dave Pierce from Aquarium Gardens, Ryan Jones from Aqua depot, and scapers like Dan Harris, Stu Worrall and James Sheen with the hamsphire aquascaping and fish group to name some of them, everyone does more than their share to grow the hobby. What I meant was that we probably have a ratio of 10 to 1 in between fishkeepers and aquascapers, face it or not we are a niche inside a larger group of hobbyists and we all want this niche to grow and reach a wider audience, "put an aquascape in every living room" Art pennon said on the scapefu podcasts, in essence to get people interested in our art, and to me the faster way to do it, is to get the fishkeepers interested in aquascaping, and that is Joey's fan base and what I noticed was a lot of fish keepers that went to the event to see joey, saw George design a beautiful hardscape, and in the end many were interested and went to him to ask how they could have one. And that has to be considered a success, and that's what I meant when I said Joey had a big impact in yesterday's event. He is now slowly delving into aquascaping, who knows eventually he becomes good enough to inspire himself his 500 million subscribers, imagine that.